The Marvelous Vintage Tea Party Company, where indulgent decadence, and vintage glamor reign supreme! Our lovely vintage hostesses will entice you with delectable treats, and scrumptious cakes and fancies, which will transport you to a magical golden era where service and attention to detail was paramount. Hailing from England, Sophie Parrott prides herself on giving her clients tailor-made, ornate celebrations they’ve never experienced before… So whether it’s tea for two, or tea for a hundred, she will create your oh-so-special event which will have your guests squealing with joy! You can be whimsical in the woods, decadent in your dining room, playful in the park, boisterous in a bar, merry in a meadow, glam in your garden, even ghoulish in a graveyard at night! Whatever, and wherever you want to be, we can make it happen just the way you dreamed it to be. Don’t think this is just for the ladies either……We’ve done fabulous tea parties for gentlemen, and gorgeous kiddiwinks too! 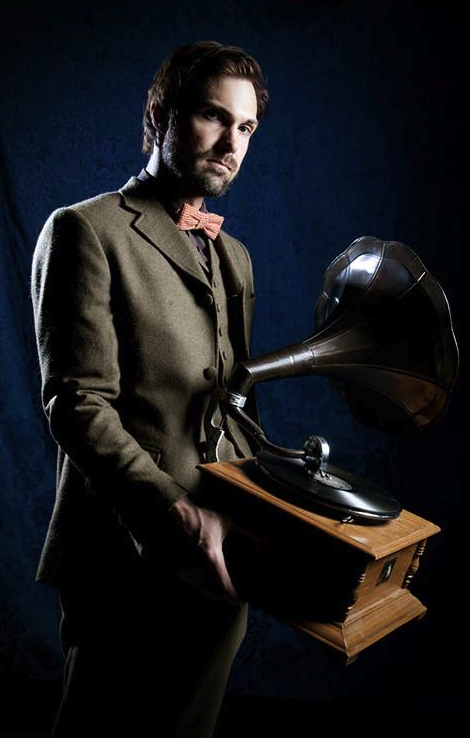 Dandy’s The Gentleman’s Store offers quality and stylish 1870’s – 1930’s garb to fulfill any proper gentleman’s fancy. A bespoke suit, hat, or pair of shoes will look smart and a gentleman isn’t proper until he tops his look off with a handmade or vintage bow tie, a pipe in hand and a flask in boot. Dandy’s is a haberdashery that creates stylish, custom made, turn of the century inspired gentlemen’s garb. We specialize in 1870’s through 1930s men’s suiting and along with all of the head to toe accessories a gentleman requires to be properly outfitted for both his daily endevours and particularly special days. Dandy’s concept formed in 2009 when Christopher and Wendy began planning their nuptials and found the lack in menswear options in the style they so fancied at a quality, yet affordable price. 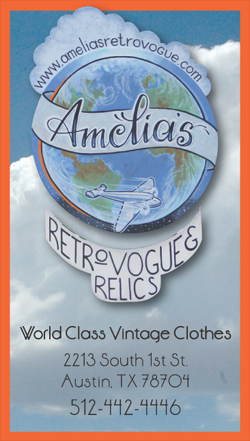 Amelia’s Retro Vogue & Relics focuses on items and clothing dating from the mid-1800′s to the mid-1900′s. Well organized, well lit, and well edited, Amelia’s enjoys an ever expanding international reputation for the quality of it’s stock. Long used as a resource by designers with the film, theater and fashion industries, the shop has housewares,clothing and accessories that span America’s history. Whether you are looking for examples of the flamboyance of the 1890′s, the incredible details of the early 1900′s, the amazing fabrics of the 20′s, the simplicity of the dust bowl era, the glamor and strength of the 40′s, the exuberance of the 50′s or the energy and optimism of the early 60′s, Amelia’s will have something to intrigue and delight you. Lumiere Tintype makes unique tintype portraits from their travelling tintype photobooth. 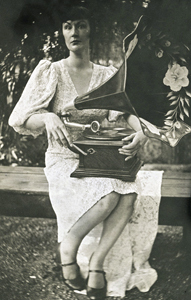 Tintypes made in under one hour, pricing starts at $50.